Discourse over the proposal to add Diversity, Equity and Inclusion to the Core Curriculum has left the Faculty Senate struggling to define civility. Confusion erupted on the first day of voting for the DEI when Dr. Max Krochmal sent a letter written by Dr.Santiago Piñon to all faculty. The letter addressed to the executive committee of the faculty senate called for a “roll call” vote rather than a secret ballot, meaning every professor’s vote would have been made public. Shortly after Krochmal’s email, Dr. Jan Quesada, secretary of the faculty senate, sent an email to faculty stressing that the vote was a secret ballot. However, her email contained a typo and she quickly sent another. That prompted a rebuke from Dr. David Colon. His use of the term “contingent faculty,” referenced the fact that Quesada is an instructor in the Department of Religion. She does not have tenure. On Thursday, the Faculty Senate Executive Committee presented resolution calling for civil discourse. The main goal of the proposed resolution was to make sure every faculty member on campus felt safe to share their opinions, said Greg Stephens, TCU Faculty Senate chair. 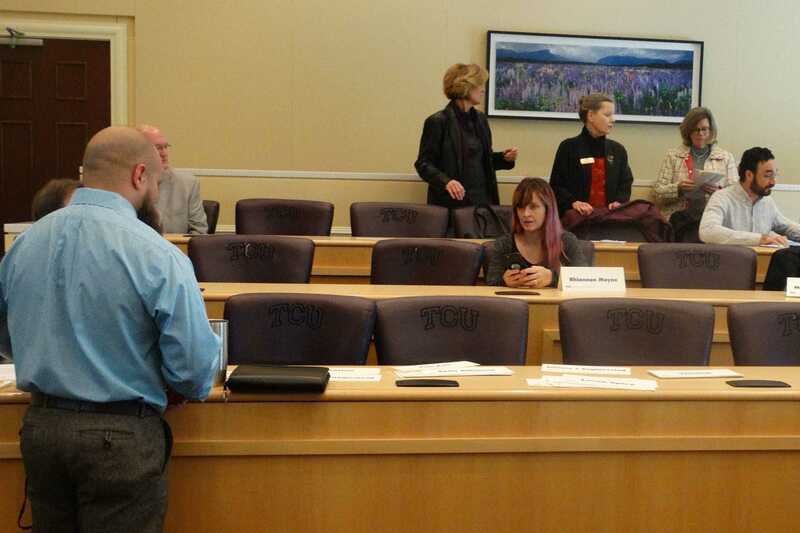 But Piñon suggested that proposal could be seen as hostile to some faculty. Throughout history, calls for civil discourse have often being used to silence the voices of marginalized communities, he said. Dr. Omar Harvey said that it is difficult for people of color to voice their opinions when they are then told to be silent in the name of civil discourse. In response, the executive committee agreed to rewrite the proposal and reconsider how the message of civil discourse is framed, emphasizing that no ad hominems are to be allowed with the TCU academy, said Stephens. Faculty members are encouraged to email comments or suggestions to Stephens.